The rotunda at Hamilton Farm, Gladstone, NJ. 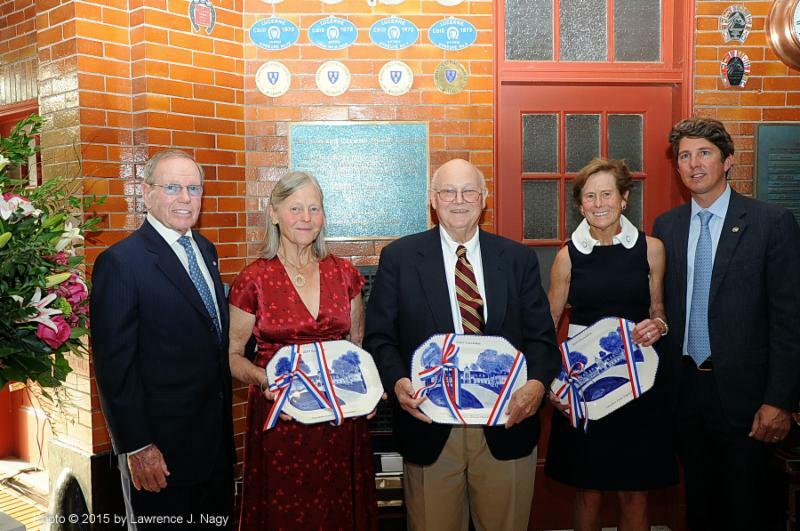 Gladstone, NJ - June 1, 2015 - On Saturday, May 30, the dedication of the Joan and Corwith Hamill Rotunda at the United States Equestrian Team Foundation's Hamilton Farm stables honored the family's commitment to equestrian sport, in recognition of their remarkable $1.5 million gift to the organization. The Illinois couple's devotion to the cause began six decades ago, when they helped lay the groundwork for a fledgling group to fill the post-World War II gap after the U.S. Army stopped supporting U.S. equestrian teams that competed internationally. Foundation Chairman Brownlee Currey noted that it was a special day not only for the Foundation and members of the Hamill family, but also for the "horses and riders as they train to prepare to represent the country in international competition." In addition, he cited the benefits of the contribution for other groups that use the facility, including the Somerset Hills Pony Club. Many of the riders who have gone on to be part of U.S. teams at major competitions around the world have gotten their start in Pony Club. Foundation trustee and treasurer Philip Richter called the gift "transformational." He noted that many of the people on hand for the ceremony "have a special tie to this sacred place. This facility means so much to our sport." In 2017, the foundation's landmark stable headquarters will mark its 100th anniversary. "While the structure has remained remarkably solid, there are capital expenditures that are necessary to update and maintain this facility to the standards it deserves. This gift gets us a long way to achieving that goal," said Richter. His grandfather, Philip Hofmann, served as a trustee of the U.S. Equestrian Team with the late Joan Hamill, whose husband, known as Corky, was a member of the finance committee. The improvement projects the gift will help finance include rebuilding the stalls, as well as modernizing the heating and air conditioning system, starting with replacing the 100-year-old boiler. Joan Hamill competed for the Wofford Cup with her daughter, Nancy, in the 1957 National Eventing Championships at the Broadmoor Hotel in Colorado Springs. That experience stimulated Joan's interest in getting involved with the USET, which she served as a trustee from 1976 to 1984, after which she became an honorary trustee. Another link between the past and the present was the presence of Olympic and world championships multi-medalist Jimmy Wofford, who spoke about the early years of the USET and the impact Joan Hamill had, and thanked Nancy Hamill Winter; her sister, Betsy Bramsen, and their brother, Jon Hamill, for their continuing support and involvement with the USET Foundation. The Hamill family was squarely behind the 1959 Pan American Games when they were held in Chicago, doing everything from setting up the dressage ring to arranging social events and selling USET souvenirs. Michael Page, the individual gold medalist from those Games, also was on hand at Gladstone to renew his acquaintance with the Hamills. Nancy Winter trained at Gladstone when she was long-listed for the 1986 World Championships, and the place means a great deal to her personally, as well as because of her parents' efforts on the USET's behalf. She noted her mother, who had "always been a team player" vowed to do "whatever she could for the team." Her parents "would be so proud to be here and see this wonderful farm and to know how well the organization has survived," she said, before a plaque commemorating their contribution was unveiled. To mark the 100th anniversary of the stable, the USET Foundation established "The Gladstone Fund" to preserve the legacy and the historic facility. The Hamilton Farm Stable is central to supporting the Foundation's mission through providing a world-class facility for Olympic, Pan American and World Championship selection trials, national Championships, training sessions and special equestrian events and exhibitions. "I cannot express enough how grateful we are to Jon, Nancy and Betsy for their generous gift from the Hamill Family Foundation in honor of their parents Joan and Corwith. They were true leaders of the USET, and it is so fitting that their legacy will be a permanent part of this iconic facility, which continues to train and prepare our riders and horses for international competition. We are proud to name the rotunda the "Joan and Corwith Hamill Rotunda," said Bonnie B. Jenkins, Executive Director. 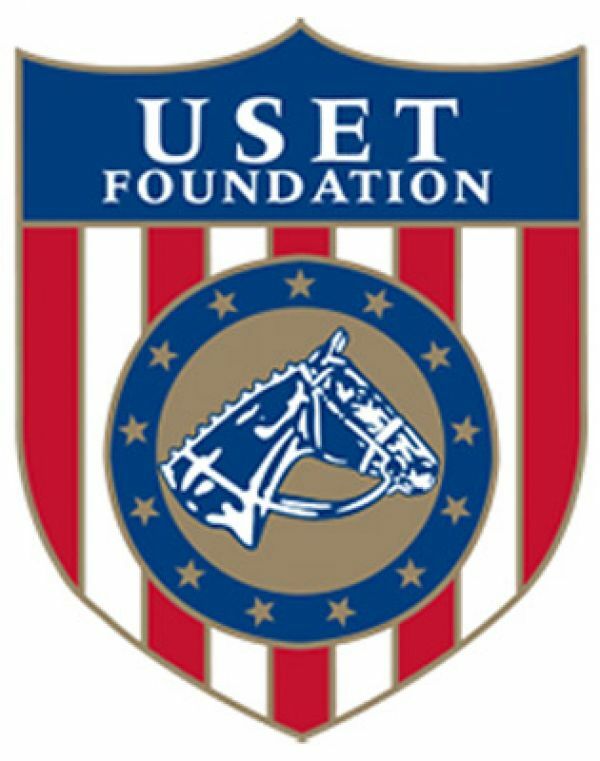 The United States Equestrian Team Foundation is the non-profit organization that supports the competition, training, coaching, travel and educational needs of America's elite and developing international, high-performance horses and athletes in partnership with the United States Equestrian Federation.